You captured stunning photos of our great city for the #BeautyinBmore contest and proved that 2Hopkins apartments in Baltimore are situated in the heart of a really beautiful city. 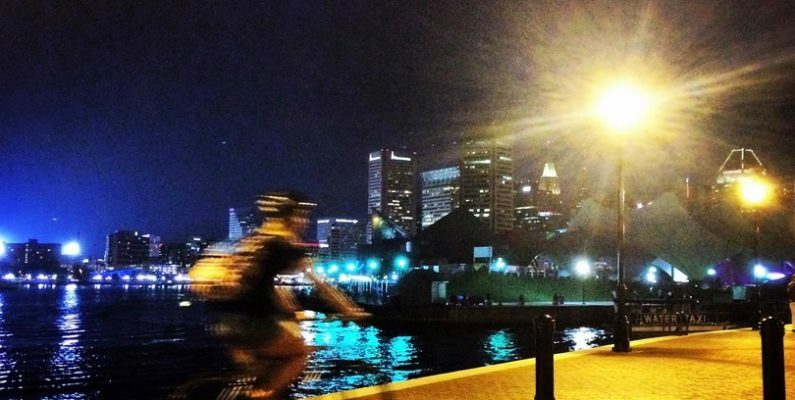 We asked you to show us #BeautyinBmore and you delivered. 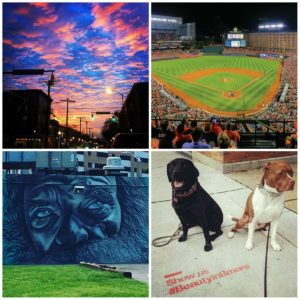 We now have proof that there are plenty of picture-worthy sights around our apartments in Baltimore – 605 beautiful sights and counting, to be precise. You shared pictures of all kinds of things, from bubble gum sunsets to Orioles games, skyline views, murals fit for a museum, flowery fields, serene streets and all of your favorite tail-waggin’ friends, to name a few. Don’t worry, we put together a gallery of all the great shots so that you can browse through and find your submission or just admire the fine work of your fellow entrants! In the end, you voted (and got your friends, family and coworkers to vote) and narrowed the pool of entries to 20 finalists. From there, our grand prize winner was chosen. 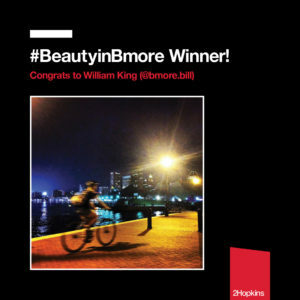 We are awarding $500 to our winner, Bill King, for his great photo submission and another $500 to Rebuilding Together Baltimore, to keep Charm City just as charming as ever. We’ll be awarding our grand prize winner and Rebuilding Together publicly at the Hopkins Plaza Happy Hour in our backyard on July 20. Stop by for free drinks, live music and a look at real life prints of some of the things you found beautiful in Baltimore! Meanwhile, keep up the trend of appreciating all of the beauty in Charm City and discover our apartments in Baltimore.